December 2006 – ComReal Miami’s Ed Redlich, CCIM represented High Tech Avionics in the sale of their 12,500 square foot Doral warehouse building located at 8875 NW 23rd Street, Doral within Americas’ Gateway Park in the city of Doral. The sales price was $2,300,000 or $184 per sq. ft. ComReal’s office happens to be located in the same business park just a few doors away. In 1995, Jose Sardinas and Mario Catalano, the owners of High Tech Avionics, turned their initial investment of only $1,500 and themselves as employees, into a large operation with over 30 employees. 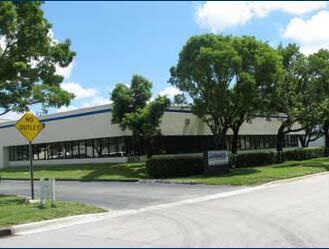 In the Summer of 2006, Kellstrom Aerospace purchased High Tech Avionics and relocated to Miramar, Florida. After receiving below market offers, High Tech turned to ComReal Miami because they has recently sold a similar building nearby. Within a short period of time, they produced multiple, qualified offers and successfully closed on the property in the Fall. For more information, please contact: Ed Redlich of ComReal Miami, Inc. at 1-786-433-2379.